Well friends, Christmas has come and gone and tomorrow night is new years. I gave it a few extra days because of Snowmageddon and all the delayed mail and frantic postal workers trudging through five feet of snow, however, I can deny it no longer. Santa failed to write me back this year. I took the time to painstakingly hand write such a lovely letter and I received no return post from the North Pole. Fail Santa…epic fail. I checked the mail eagerly every day after work, but alas, the dream was not to be. 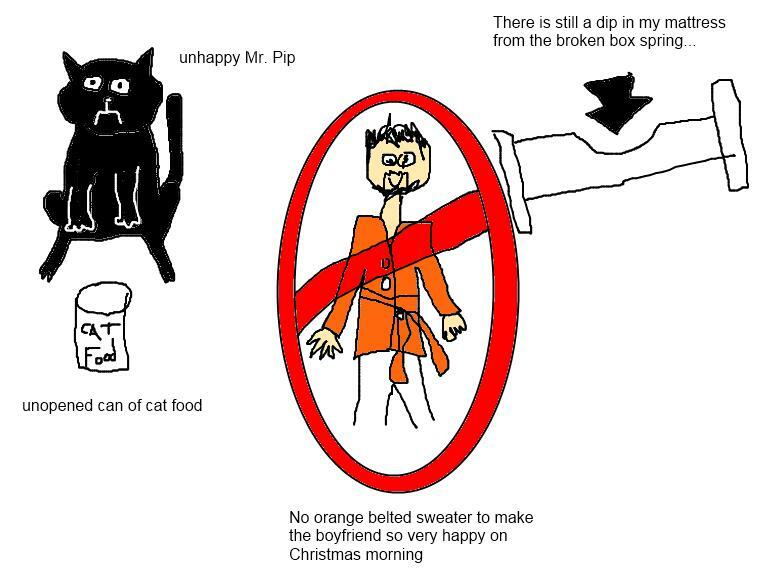 My boxspring still droops where it somehow was broken, Mr. Pip cannot open his own cans of food and the boyfriend has no belted sweater to call his own. I hope that he had time to write all the little kids who wouldn’t understand his lack of dedication to his fans so they can go one more year with that total belief and excitement, but I myself am saddened. Perhaps next year, friends. 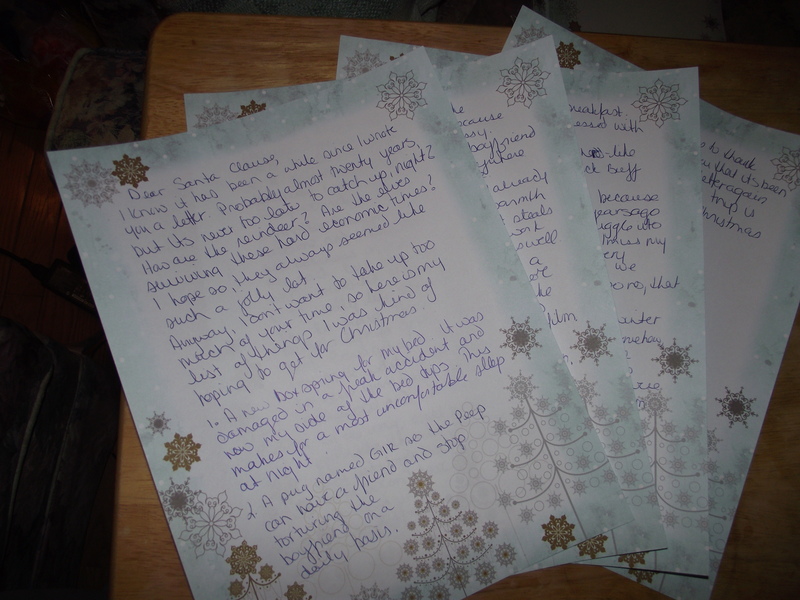 I do plan to try again next year, hopefully not hindered by a freak snow storm and I’ll be sending the letter out well in advance of Christmas.